Sitka Art Circles are a way to come together in a casual atmosphere and have a bit of artistic fun. Everyone is welcome! Composition magic: We know it when we see it, but what makes it happen? 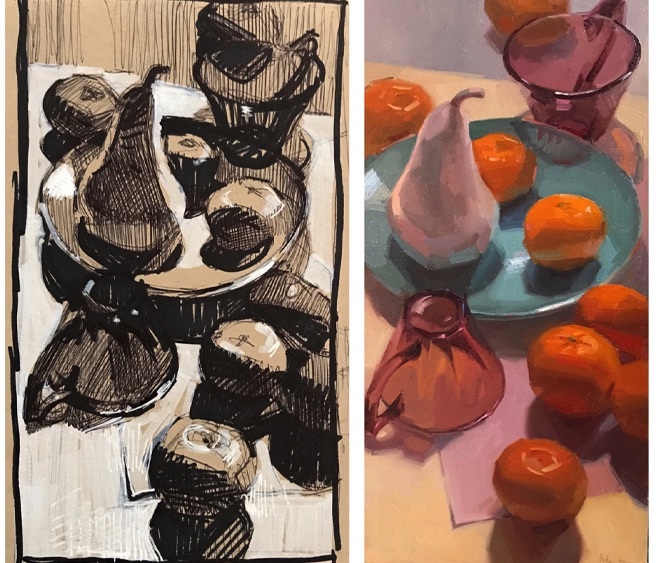 During this four-hour class Sarah will give you tips on designing successful paintings and share her fun technique for value studies using black and white markers on toned tan paper. Plan paintings that grab the viewer’s eye and learn a new way to sketch. This Art Circle session is a great add-on to Sarah's "Oil Painting Boot Camp" workshop.